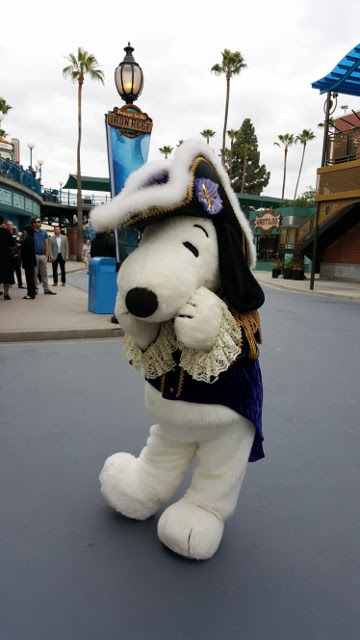 By now you have probably heard of the new excitement that has Snoopy dancing with excitement at Knotts Berry Farm. 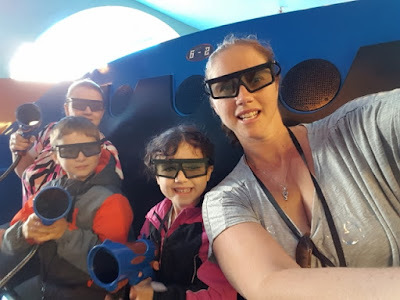 Last week, I had the opportunity to check out the new ride, Voyage to the Iron Reef in 4D. What kind of ride is it? Iron Reef is a 4D slower moving ride in which the riders can shoot the inhabitants of a "Steam Punk" under-water world. The ride is smooth and comfortable in seats that are similar to the Toy Story ride at Disneyland. 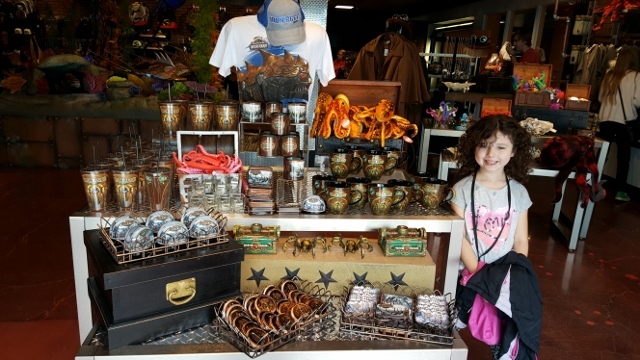 In fact, you may see some similarities to the new Knott's ride and Disneyland. The reason being is a wonderful Disney ImaginEar Legend, Robery Gurr. 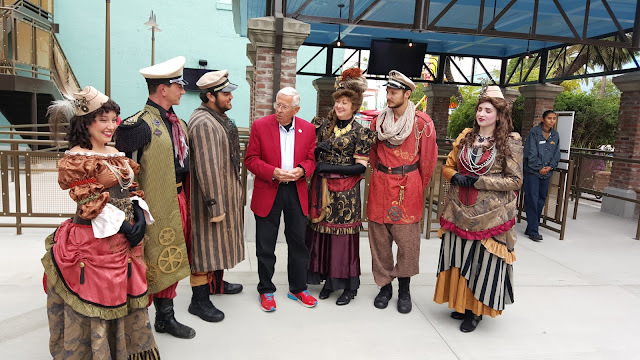 He has been an important figure in many of the designing of Knott's and Disney rides, old and new. Here, he led a photo-op with his old pal Snoopy and friends. Of course we had to get in the act too. The costumes put you in the right mood for the ride. 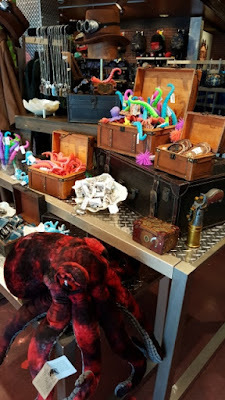 Very Steam Punkish. The opening ceremony over, it was time to don our 4D goggles on and get ready to fight off the Kraken! There are plenty of stairs to walk up so if you need assistance, please ask a cast member. The was AWESOME! Our smiles were from ear to ear and our hands sore from shooting the evil Mermaid but it didn't stop us from riding it another 4 times! Check out the ride for yourself in this sneak peak video below. The ride puts you right inside the arcade so be forewarned. We played a quick game of air-hockey before checking out the Nautilus goodies next door. 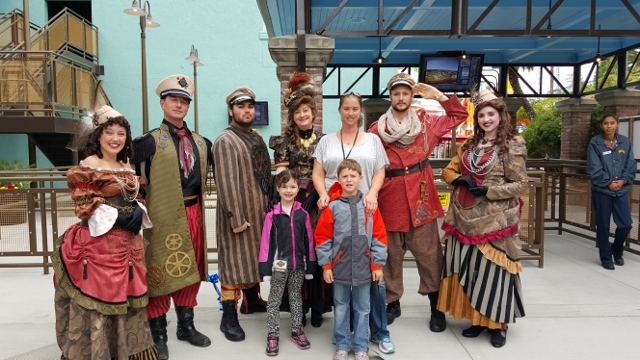 We had a great time at Knott's riding on new rides and old. In fact, my daughter just reached the 48" height and was dying to go on Boomerang and went on TWICE! We left our friends with smiles on our faces and talked about what other loop d loop rides we could find to ride. 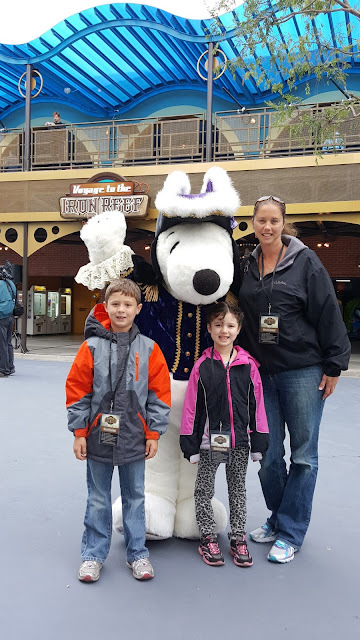 We said goodbye to Snoopy and we were on our way. 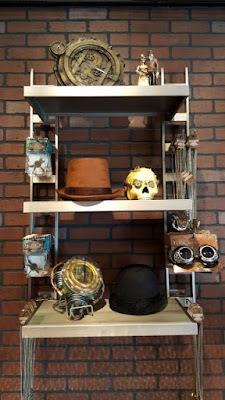 To check out the park hours and all about what's new, check out their website at www.knotts.com. DISCLAIMER: We were invited to a media pre-view of Voyage to the Iron Reef. All thoughts and ideas are my own. Do not use any photos without permission.